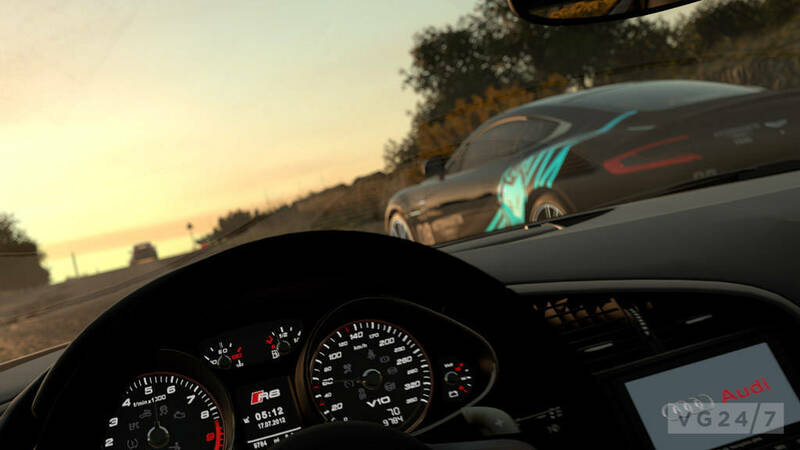 Driveclub guide: what’s free for PS Plus subscribers? Sony’s PS4 exclusive racer goes live this week after almost a year-long delay. Developed by Evolution Studios (MotorStorm, WRC), the game takes the standard racing format and allows users to form their own racing club and set challenges online. Sony is releasing a chunk of the game at no extra cost if you’re a PlayStation Plus subscriber, allowing you to sample cars, tracks and one location (the beautiful Indian continent). There’s plenty of game to play there, and if you want more, you can then upgrade your freebie into a full purchase for €49.99/$49.99/£42.99. On top of all of that there’s also the Season Pass, which adds more content after release. The method is a little unconventional and a little convoluted, but VG247 is here for you. 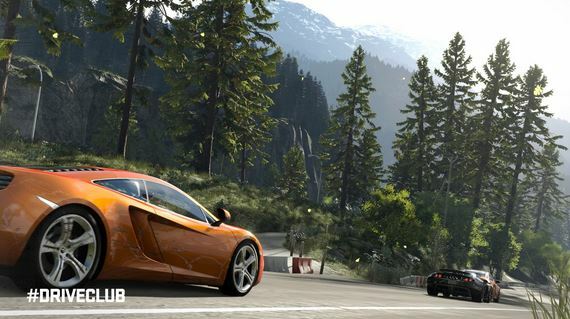 Here’s a look at what’s included gratis, and how to unlock the full Driveclub package. Here’s a handy list of what’s free and what isn’t when the game launches October 7 in the US, October 8 in Europe and October 10 in the UK. It’s worth noting that both versions of the game contain all modes and features, the main difference is the number of cars, tracks and locations. Post launch updates add a couple of much-requested features to the game, but none have yet been dated. The most interesting is dynamic weather effects, but there’s also a new Photo Mode – similar to those seen in The Last of Us Remastered and Infamous: Second Son – and a Replay Mode. Both the PS Plus and full versions of the game will receive these updates. DLC is also going to be divided into free and paid-for content. The free content isn’t available to the PS Plus subscribers, so in other words you have to have bought the full game (or upgraded from PS Plus) to get the free DLC as and when it’s released. 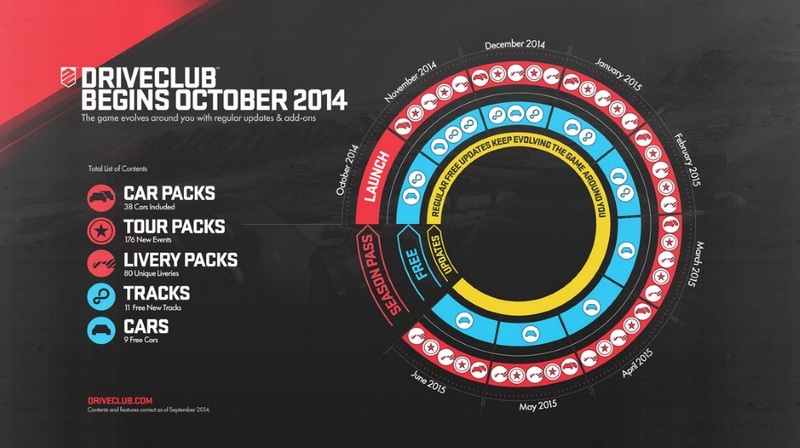 The DLC season runs from October 2014 to June 2015, with content promised every month. With the paid-for DLC content, you can either buy a Season Pass to get it all, or buy each content drop individually. The Season Pass costs €24.99, with Sony saying it will save you more than 60% of the cost if you buy each DLC individually, at €75.84. Here’s a handy infographic to give some indication of what content it dropping during each month, but Sony is yet to detail specific models of car or the final location.